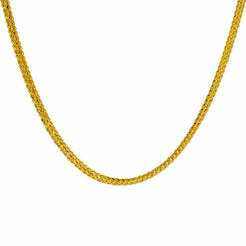 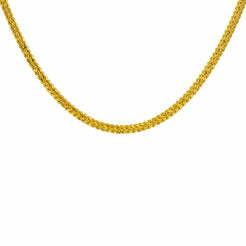 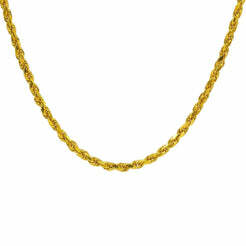 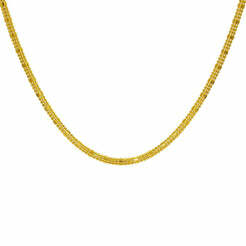 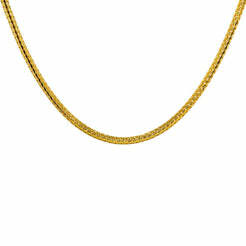 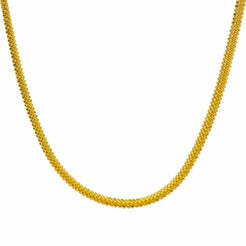 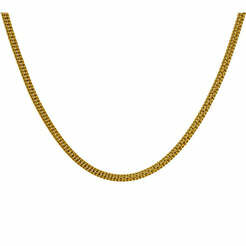 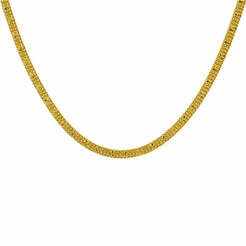 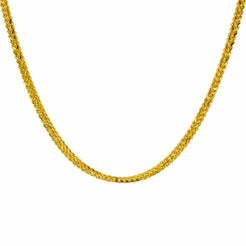 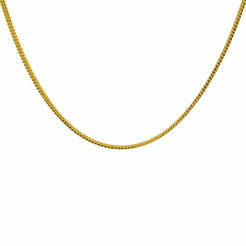 Complete your outfit with a stunning 22K gold chain necklace from Virani Jewelers! We carry the latest Indian gold jewelry designs that exude class and sophistication, as well as traditional options that can help you pull off a classic look. 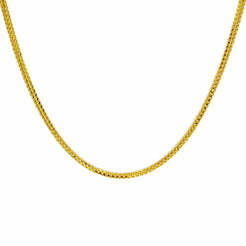 No matter which men’s chain necklace you order, you can count on Virani Jewelers to provide you with nothing but the best 22K gold on the market. 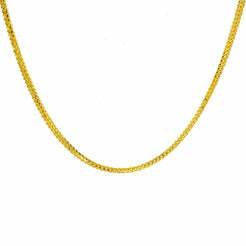 We know that many of our clients have questions about ordering 22K Indian gold jewelry, so don’t wait to get in touch with our friendly customer service team if you have any questions about sizing, shipping, or anything else! 22K Yellow Gold Men's Chain W/ Double Curb Link, 21.75"
22K Yellow Gold Men's Chain W/ Rounded Wheat Link, 22"
22K Yellow Gold Men's Chain W/ Gold Ball & Double Curb Link, 20"
22K Yellow Gold Men's Chain W/ Gold Ball & Double Curb Link, 18"
22K Yellow Gold Men's Chain W/ Double Curb Link, 22"
22K Yellow Gold Men's Chain W/ Rope Link, 20.5"
22K Yellow Gold Men's Chain W/ Braided Foxtail Link, 26"
22K Yellow Gold Men's Chain W/ Braided Foxtail Link, 20"
22K Yellow Gold Men's Chain W/ Curb Heavy Link & Etched Details, 22"